Last week was really a "Don't disturb, I'm handling my P6 kids!" time for me. The major papers, English and Maths are over and done with. Woots. Hopefully, we will all celebrate during Results Day in shaa Allah! Now because it has been a hectic week, when E suggested LEGOLAND Malaysia, I immediately went "YESSAR!" Nyla didn't have a clue when we were getting ready in the morning. Nyla: I want to go to West Coast Macdonalds okay. Nyla: I DON'T WANT TO GO OUT LA LIKE THAT. We thought we'd surprise her when we reach Legoland itself but haven't reach Tuas already, we let the cat out of the bag because she was being damn annoying in the car asking us to go to West Coast Macdonalds. Weather was fine throughout. Actually, scorching hot la, but I prefer that to a rainy day at a theme park. 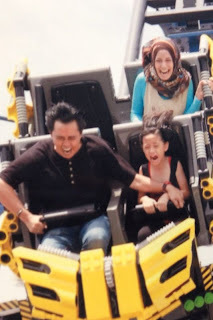 Now, when I was younger, I used to LOVE roller coaster rides and wouldn't think twice about taking them with my siblings. I guess I've been on a roller coaster hiatus for so long I felt SO nervous when we were queueing for the roller coaster ride. E: You can or not? You just watch me and Nyla take la. Me: No la. I need to make sure you hold her properly. Nyla, you sure you wanna take this? Nyla: Come on Mommy, I've been waiting for this for so long. E: See. She no problem one. By the time, our 'cart' arrived, my palms got sweaty. My knees were shaking. If it weren't for Nyla, kirim salamz sudah. Another thing we enjoy most will be looking at the expressions on the faces of people. 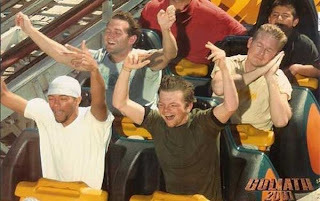 Some people can actually pose during roller coaster rides when they are caught on camera. Unfortunately (fortunately for you allz! ), the 3 of us are not that terror. We were too busy screaming. E, thank you for heeding my advice and making sure Nyla is safe. I got a lashing from my mom when she saw this pic. Mom: Kau terok kin, kasi anak kau naik gini. Mom: Suka ke apa? Muka dia macam gitu kau cakap suka? Nyla: I also don't know why I look like I'm going to pengsan Tok Mommy but I really enjoyed myself you know! Yes. She really did. 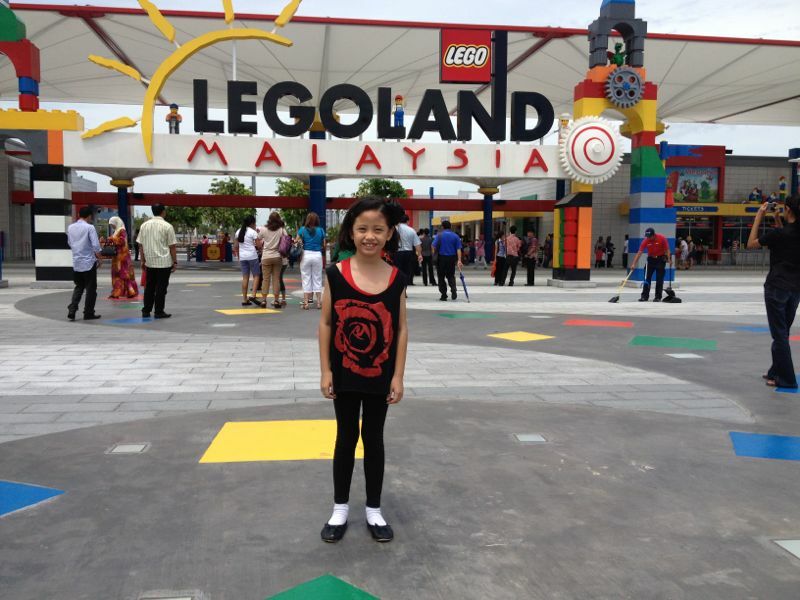 We took ALL the rides which were open at Legoland that day. You all with young children, go ok! Trust me, it'd be a wonderful experience for them. PS: Those of you going on the roller coaster rides, be conscious of the camera and don't 'pose' like us 3 hor. Bottoms Up matters and errr...Bottom Blast? PSLE tomorrow! Been looking forward to this week because the kiddos have worked so so hard. And as usual, I'll be opening my doors at Pandan Gardens to the P6ers for last minute revision today, tomorrow and Monday. Especially for those whose parents are working. Rather than being alone at home and get pressured about tomorrow, might as well come to my place and have a revision party! I was at the dining area printing materials for tuition.Nyla was sitting at the living room playing with Booo. Nyla: *Sniff Sniffs* Mommy, did you fart? Nyla: Really smells like your fart seh. Nyla: Really. My fart doesn't smell like this. Me: Oh ya? How does yours smell? Sorry for not taking your suggestion seriously initally. Not only that. I even questioned the choice of fabric. Me: Linen quite hot leh mom. I later found out that the fabric: linen, though expensive, is long lasting. My elder brother, Bah, who is the most obedient to my mom (maybe that's why he's the most successful among us 3) snapped me out of my stubbornness. 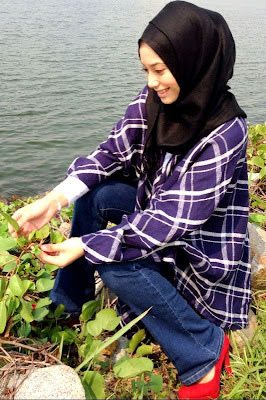 When I said, 'Ok lor, Plaids pon plaids la Mom', she went to her sewing room and got going with the jacket-cape pattern she had in mind. I was amazed when I saw the end product. Really beautiful. Even E who doesn't usually pass comments agreed that I should sell this beauty. Nyla was most excited during photoshoot time. If you must know, my 7 year old babe is usually the photographer. One: I really don't wanna disturb my photographer friends for a short 30 min shoot. Two: I just like Nyla's pictures loads. Besides, Nyla usually gives constructive criticisms. Nyla: Why you always take picture in the balcony? So boring. Me: Ok then let's go to the reservoir? Let's? Never mind that passers-by think that I'm crazy to wear a jacket on a super duper hot day.That and having a kid to shoot me. Funny sight I tell ya. Cartoon abis. But my photographer got easily distracted during last week's shoot at the reservoir. "CLICK CLICK CLICK. Ok Mommy, you wait. I want to collect pebbles and throw into the water." Cannot scold her la cos wait she threaten me.."YOU SCOLD ME, I DON'T WANT TO TAKE PHOTO AH." Tough day for me man that day. Anyhoos, here are The Excluzif Plaids Jacket-Cape sweethearts. I hope you like these specially hand sewn with love Excluzif Plaids Jacket Cape babes. Available in Navy Blue, Red, Black. See you at nuraesman@gmail.com k.
I love my before bedtime moments with Nyla. The things she say/ask sometimes can be pretty hilarious. Few days back, I witnessed a rather scary incident. An old nyonya suffered a very bad fall. I called for the ambulance because the blood just wouldn't stop flowing. I hope she's fine now. Nyla: Mommy, how many ambulance people were there? Nyla: I'm just asking what. I especially like her stories from school. Her friends are extremely cute I tell ya. And then we will also chat about random stuff, like the 5 days MC Sore Eyes Girl. lol. Nyla had a good time laughing at some of the parodies and decided that she'd make one too. Last part tu tak perlu eh sister. She's in front of me now, signing the 40 books my teacher gf ordered for Children's Day gifts. I think it's really time for both Nyla and myself to collaborate and write another book. Wanna know what we intend to write about? 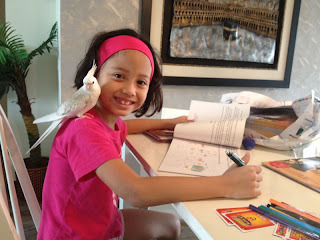 CLUE: That handsome one perching on Nyla's shoulder. Those of you who will be attending the story telling session at Civil Service Club Bukit Batok this Sunday, see you allz there! 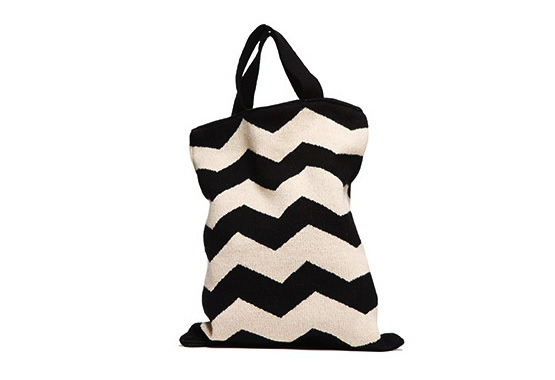 All the Chevrons shawls are no longer available for sale. Thank you very very very much sisters for the support. Next week, I'll be launching the plaids jacket-cape. This one is my mom's idea. She actually sewed the jacket-cape for me specially for the Sydney trip. If I am currently chevron crazy, my mom is plaid crazy. Only that she has been into plaids since forever. Me: Mom, quite hot leh. Not suitable for sunny Singapore. Mom: Lagi pon mesti ada yang nak pergi holiday, tempat sejuk apa. While we were chatting about this, my elder brother said, "Kin, just do it. Listen to Mom." 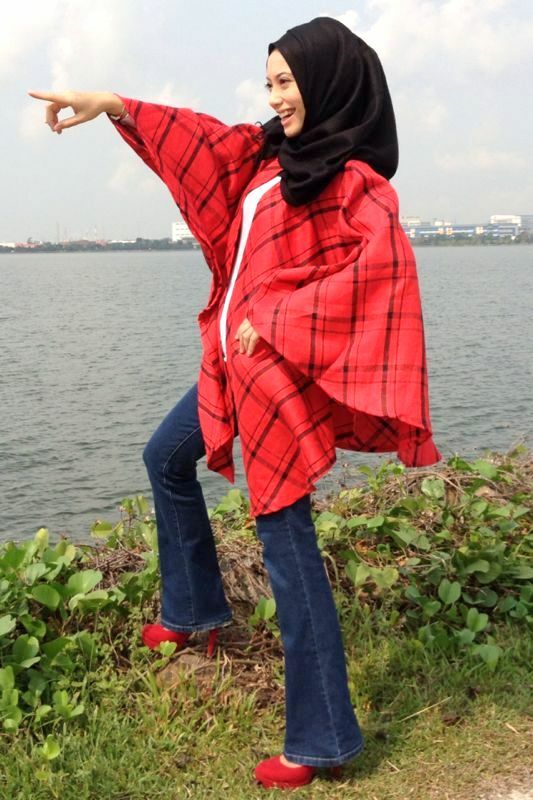 So mom, this launch of the plaids cape jacket, I dedicate to you. Imee (mommy to FIVE beautiful girls) : Babe, should go for chevrons. 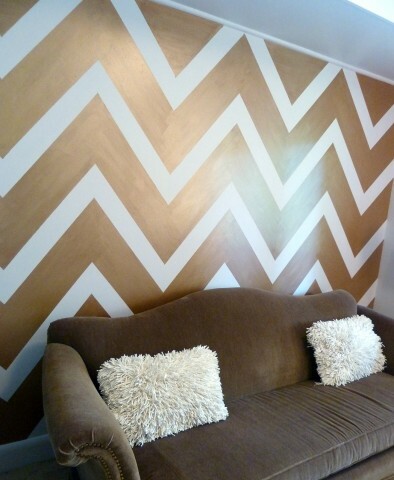 I was SO sold and I became crazy about CHEVRONS right away. We've seen the designs on walls. The chevrons just seem so perfect for anything man. Imee and I are currently in talks about bringing in more Chevron designs to make maxi skirts and dresses. SQUEALS like a bunch of bimbs!!! Anyway, I've never spotted anyone donning the Chevrons on their heads. Polka dots, Floral, Stripes got la. For now, we'd like to offer you what we have k and what we have are absolutely pretty! 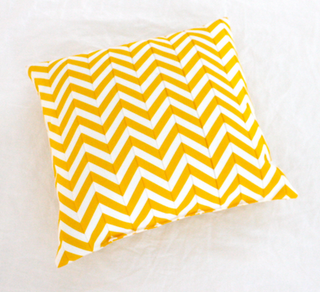 Those of you who have been on a hunt for Chevron Tudungs, look no further. 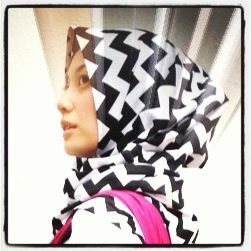 THE EXCLUZIF CHEVRON SHAWLS in the house yo. Each piece is going for $33. Measurements: 170cm by 51cm....Material: Non stretchy cotton. Come la let's ziggy zaggy together with me! I have this feeling that the Chevrons will be BOOMZ and the trend will stay for a nong nong time. Classic design that will never go out of style one. Email me at nuraesman@gmail.com yo la. Tunggu apa lagi? We are back from Sydney. Attended the most beautiful wedding ever. Wait when Nyla marry, I wanna do hers like that also. 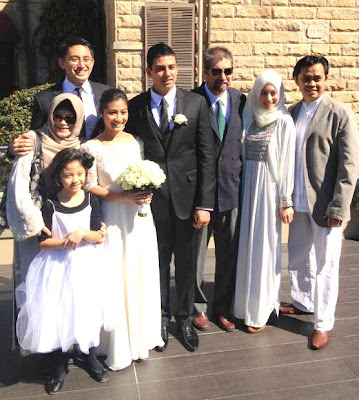 Simple and very memorable, attended by close families and friends. More pictures soon to be shared. Nyla misses Booo so much she keeps kissing Booo's pic on my handphone. 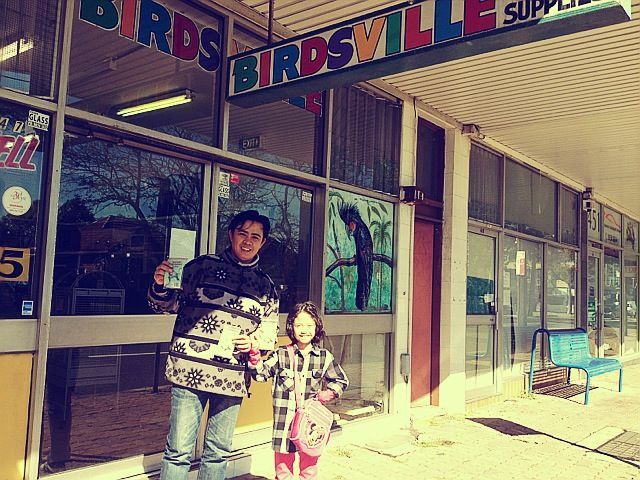 Before we went to Sydney, Nyla withdrew some Hari Raya money from her bank because she wanna buy Booo some stuff. 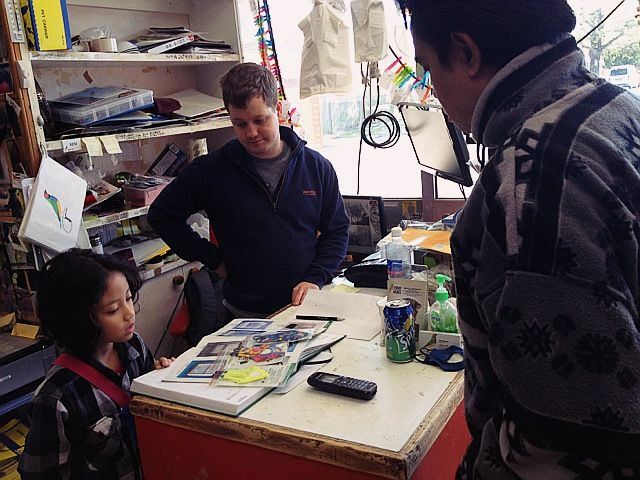 Together with E, they did research on pet shops in Sydney. Shortlisted a few and I told them Birdsville would be the one to go cos niche mah. If other pet shops, sure got dogs, cats, rabbits' stuff and all. 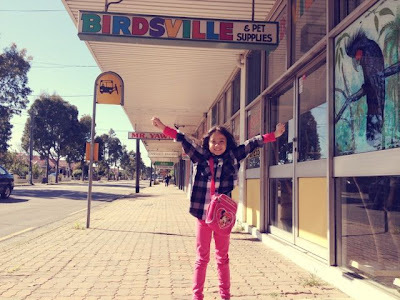 Imagine Nyla's joy when we found Birdsville! She went there with a purpose. To find Booo diapers so that Booo would be able to roam around freely at home. We tried to find here in Singapore but no have such thing. Everytime we asked, they'd go,"Huh! Got meh?" We managed to find Booo's diapers there. Jambi (my younger brother) nearly fainted when he saw the teeny weeny diaper suit. "WE CAME ALL THE WAY HERE TO GET THIS! WHAT THE!!!" Nyla choosing which diaper suit would look cute on Booo. Booo must also be fashionable hokay. E: We get 2 la. Extra. Just in case. Me: In case of what Dy? E: I don't know. Just in case la. Nyla then skipped to the car to show off to my parents. Papa J: Why you buy G STRING Nyla? Nyla didn't answer him because she didn't understand. Jambi was already laughing like mad. My mom then saw the 2 'G-strings'. So Booo, standby k...Tok Mommy might do satin, lycra, cotton diaper suit for you soon! Hehehe. We tried to put the suit on Booo just now but he refused. E: Ok Booo. Ok Nyla. Calm down both of you. Nyla, we will try again tomorrow. Put him in the cage now. She was in the balcony for sometime and this greeted us. 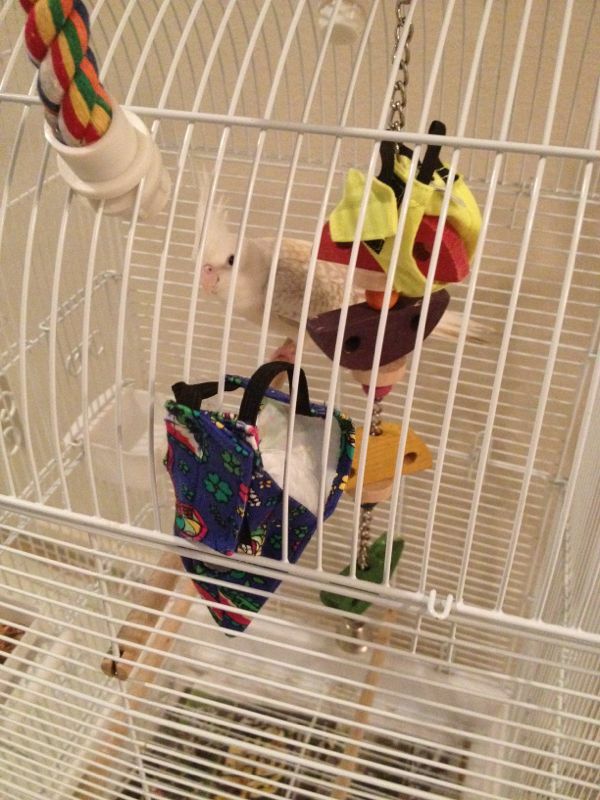 Nyla: Leave his underwears there Mommy. Punishment for the night. Let him stare at them so he gets used to them and wear them tomorrow. A former primary school teacher,TV personality, children's author, model, social media enthusiast, real estate salesperson, hair salon owner. In short, a MOMPRENEUR! Previously managed a home-based tuition business "The Bottoms Up Club" which dealt with children of lower ability, I was in the business of designing and delivering fun lessons (& workshop sessions) to my tutees (& workshop attendees) and instilled the love, joy and ultimately, purpose of learning in their lives. "Lock one room and rent out the rest of the flat"
To circumcise now or later?